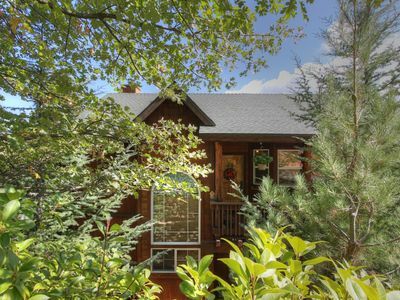 Welcome to the ideal family-friendly getaway home among the trees. 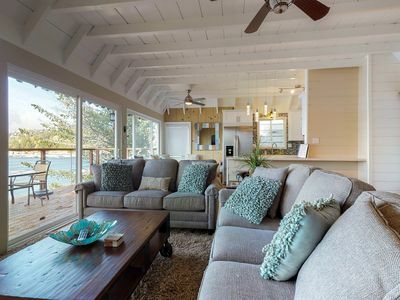 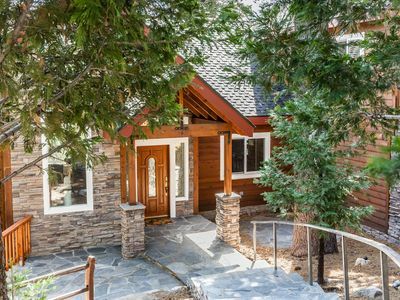 Featuring a large, two-story balcony offering forest and mountain views, plus a wood-burning fireplace, there is plenty of space for up to eight guests to enjoy a well-deserved break within the gorgeous San Bernardino Mountains. 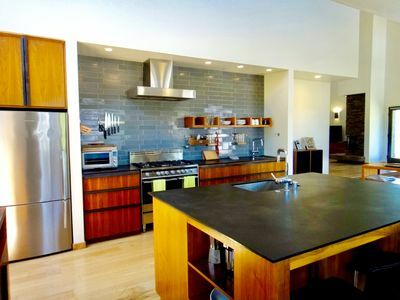 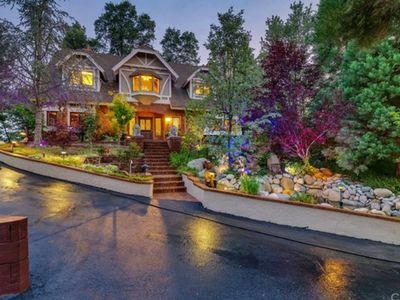 This home is secluded but only five miles away from Lake Arrowhead Village located right on the shore of Lake Arrowhead. 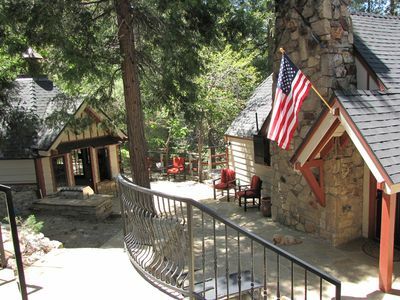 Enjoy unique shops and restaurants throughout the village as well as access to the lake for watersports, fishing, hiking, and picnicking. 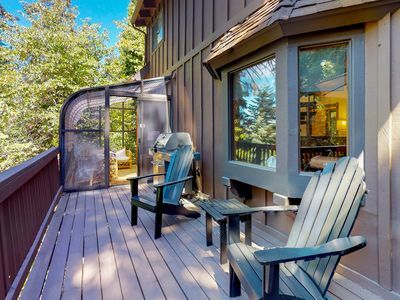 During the winter months, take a drive east to Snow Valley (16 miles), Snow Summit (30 miles), or Bear Mountain (32 miles) for world-class skiing, snowboarding, and tubing. 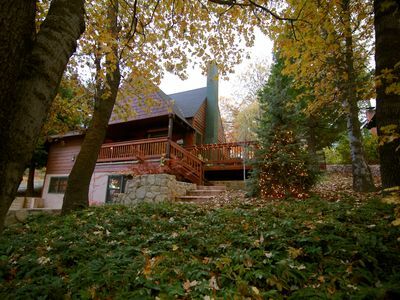 Please note that a 4x4 vehicle is required to get to and from these areas when snow is falling. 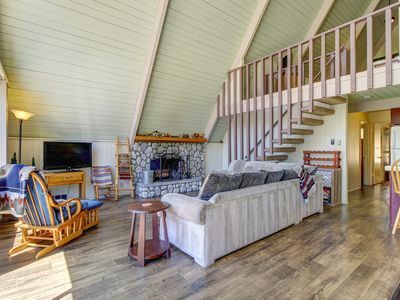 This home is a quiet mountain escape that blends rustic charm with modern amenities like free WiFi, two cable TVs with Netflix streaming capabilities, a well-equipped kitchen, and a large, furnished balcony complete with a gas grill if you want to have a family cookout or just sit out under the stars and smell the rich scent of the surrounding evergreens. 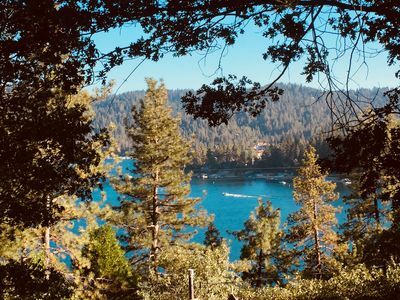 Just 80 miles from the heart of downtown Los Angeles, this Lake Arrowhead home is perfect for that next vacation or family holiday celebration. 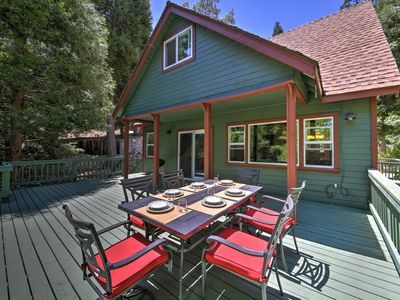 Make your reservation with us today! 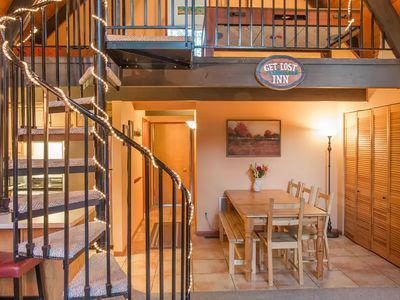 * Please note that this rental is a split home with a full-time renter on the bottom level and this home on the top level. 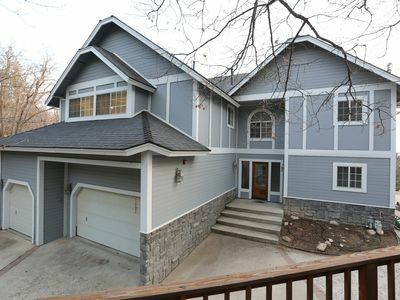 Private Arrowhead Home With Mountain Views! 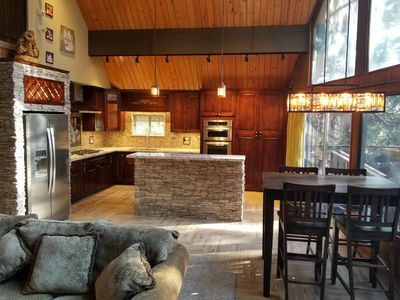 Fabulous Lake Views from all decks!! 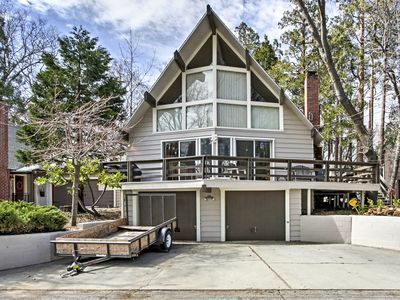 Palisades Lodge - Walking Distance to the Lake! 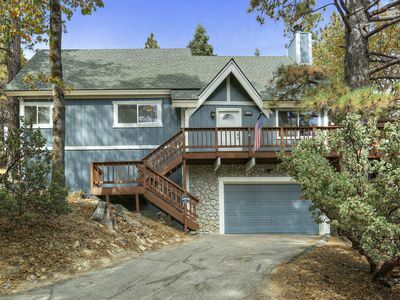 Lake Arrowhead House w/Deck - Walk to the Lake! 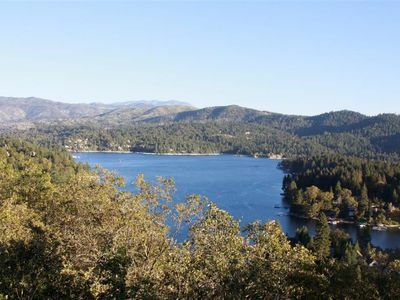 Serene Lake Arrowhead House w/Lake Access & Deck! 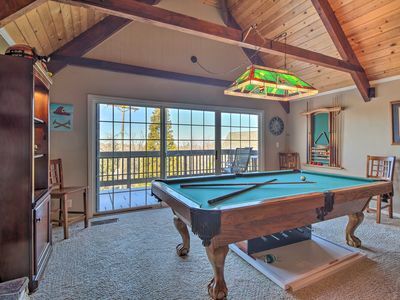 Timberline Lodge - gorgeous home with a game room! 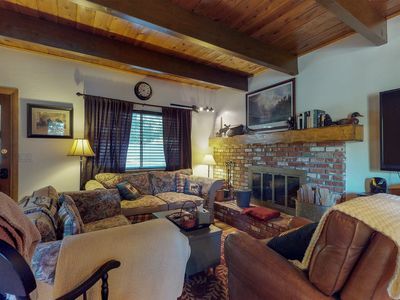 Beautiful home w/ wood fireplace & furnished deck w/ forest views - near skiing! 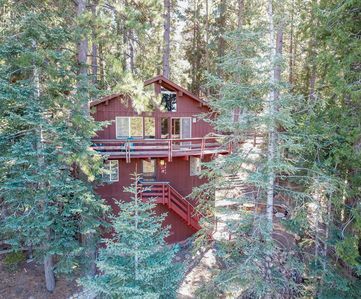 Surrounded by Pines, Family / Pet Friendly minutes from Snow Summit!!! 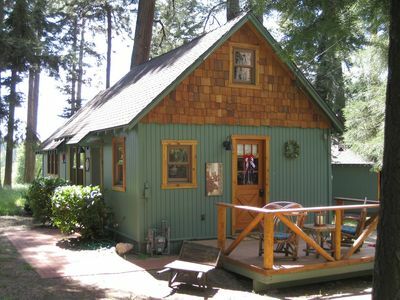 Your Great Escape Awaits in Lake Arowhead!